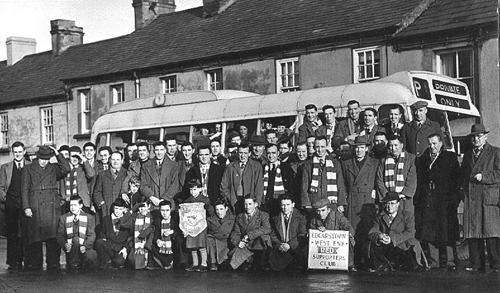 Edgarstown Red Supporters, about 1960?. 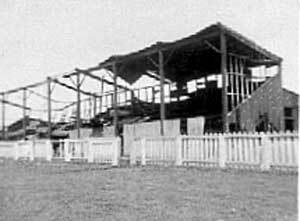 The grandstand after fire in 19??. At Portadown's grounds, Sammie Chambers is 2nd. from left of photo.